So far this month we’ve been talking about diabetes, but November is also Thank a Farmer Month. My own garden has been very slow to come in this year and if not for farmers, I’d been eating mesquite and dried prickly pear. 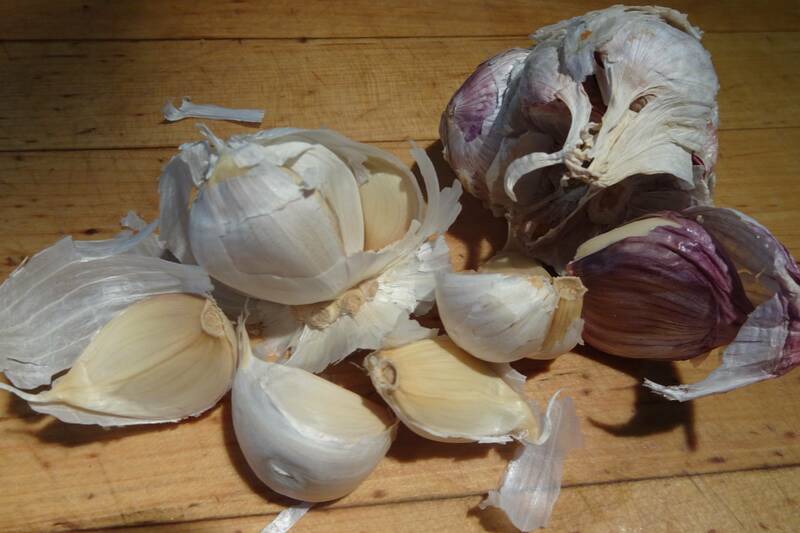 It’s Carolyn today and we’re going to focus on a small local farm in Tucson that specializes in garlic. Come with me on a field trip. 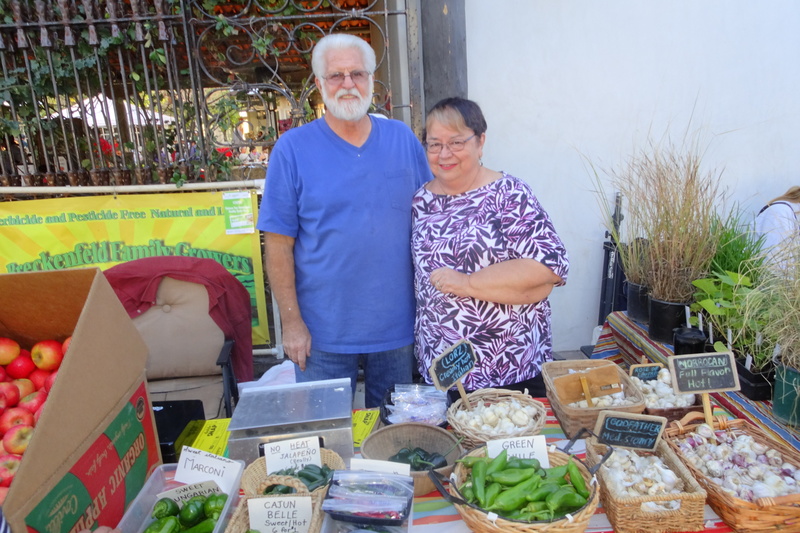 Donald and Cristina Breckenfeld at their farm stand at the Santa Cruz Farmers Market. November is garlic planting time at the Breckenfeld Family Growers farm. That’s Donald and Crystina Breckenfeld and they grow twelve different varieties of garlic. Why twelve? “Some are sharp and hot, some come on slow and stay with you, others come on sharp and go quickly,” Donald Breckenfeld, the farmer explains. There’s a mild French garlic with a floral flavor, two Italian varieties with a buttery taste, and one out of Sonora with a peppery under taste. The garlic will grow all winter and be harvested in May. Two kinds of garlic including a red heritage variety on the right. Donald Breckenfeld also grows a dozen different kinds of peppers, four different varieties of kale and three kinds of beets including yellow beets. “I want people to see that there are other kinds of vegetables with better taste,” he says. Especially popular are their no-heat jalapenos. Crystina keeps all the planting records, makes sure the crops are rotated in the fields, and starts all the tomato and chile plants from seed. Customers at their stand at the Santa Cruz Farmer’s Market here in Tucson get an education along with their vegetables as both are willing to explain in detail the advantages of each vegetable. “It’s the teacher in both of us,” Donald says. The Breckenfeld’s one and a quarter acre farm south of Irvington on Tucson’s southside is in the ancestral floodplain of the Santa Cruz River, a back slough where water came in with sediment adding lots of organic carbon. The soil is rich enough that a casually discarded nectarine seed grew into a twelve-foot tree with little attention. A chiltipin seed dropped by a bird has grown six feet high and taken over the grape arbor. As a retired University of Arizona soil scientist, Donald pays a great deal of attention to what’s going on underneath his plants. He rotates his small fields keeping one-third to one-half acre in production at a time. He rototills the fallow plots, turning under the remains of whatever he was growing, letting it compost naturally in the ground. 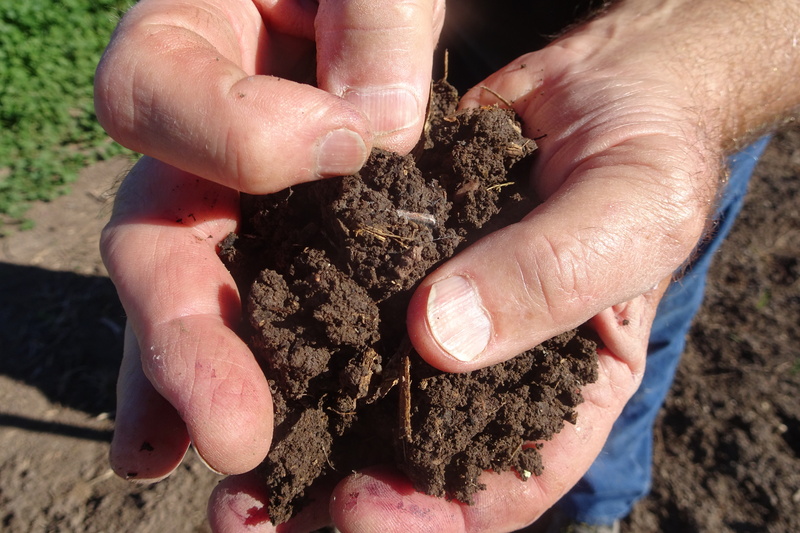 Donald picks up a handful of the rich deep brown soil in a fallowed field and point out a tiny white speck about half the size of a grain of rice. “That’s the mycorrhizae,” he says. Later he explains that the fungus helps by breaking down the organic matter in the soil, setting up a symbiotic relationship between the bioactivity and the plants’ roots. Look closely at the tiny white strand between Donald’s fingers. That is the mycorrhizae that signals healthy soil. Along with most other Tucson farmers now and in the past, Donald wishes he had more water. He supplements his 1800-gallon rain-collection tanks with city water and plans to add more tanks. A quick search of the Internet shows that garlic is considered to be effective against everything from brain tumors and high cholesterol to athlete’s foot. But every research project from institutions in China to the USA, suggest that to get medicinal benefits from garlic, you have to eat it raw as even short-term heating reduces its anti-inflammatory effect. The smaller the pieces of garlic you use, the more pungent the flavor. The garlic press has elicited many opinions from food writers (good, bad, you’ll burn in hell if you use one) but no less an expert than Bon Appetit has said it’s a good and helpful utensil. 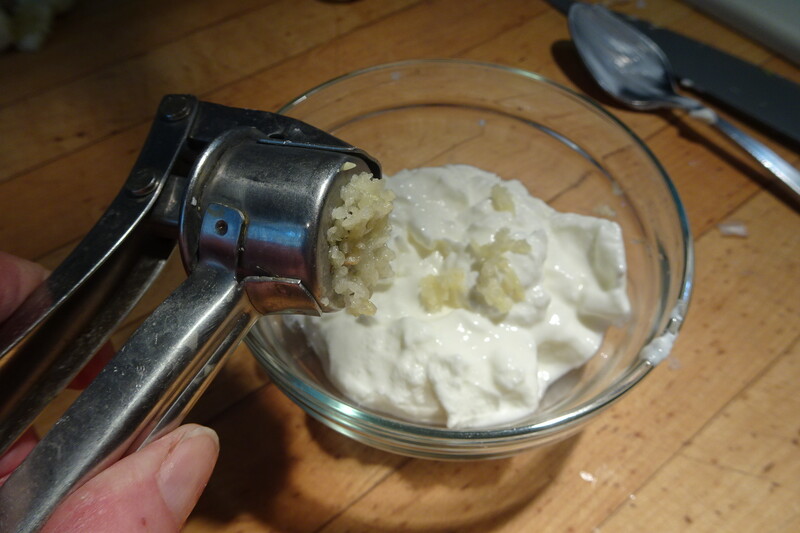 Using a garlic press to crush the garlic cloves. With newer presses, you don’t even need to peel the garlic. 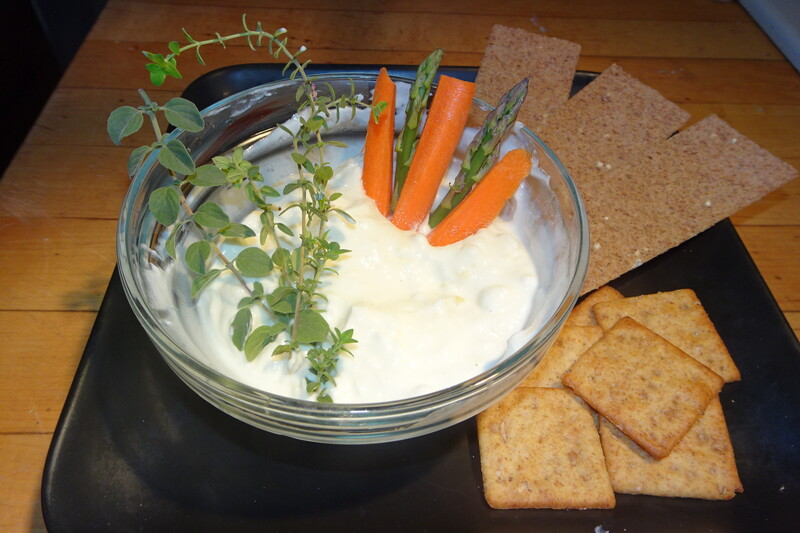 So here is Crystina Breckenfeld’s great recipe for garlic dip using raw garlic. Because I always fiddle with recipes I couldn’t resist add some fresh thyme and oregano from my garden. For an even heavier garlic punch, you could add a few garlic chives. Jacqueline writes about those here. 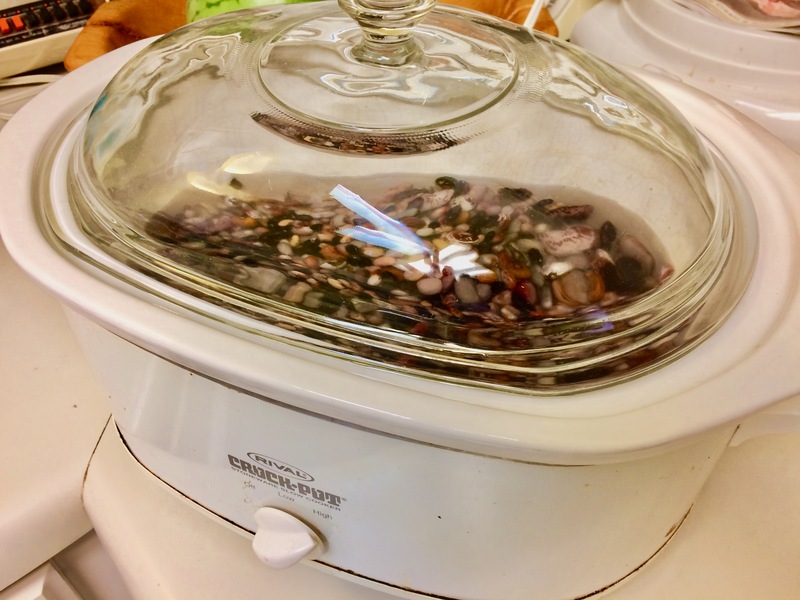 Press (do not chop) the cloves into the yogurt and mix well. Add salt and pepper. 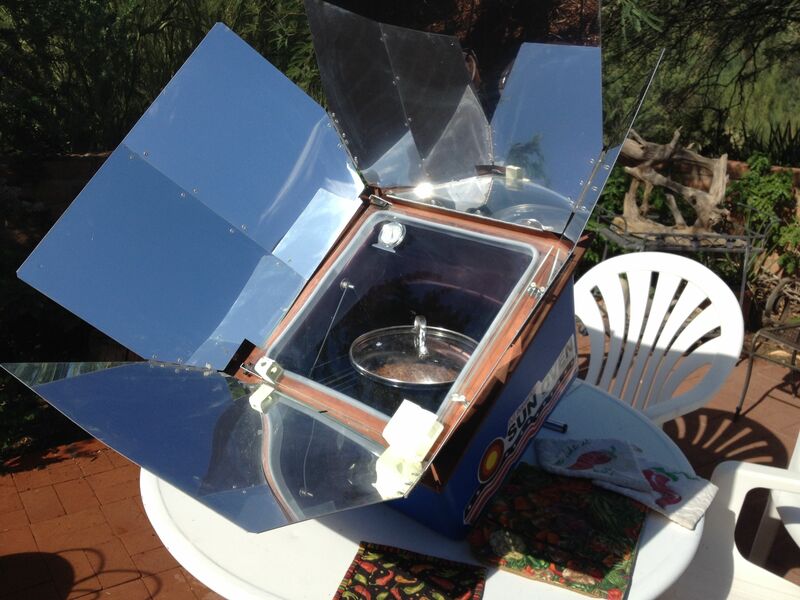 Place mixture in a covered container and refrigerate for about an hour and a half. 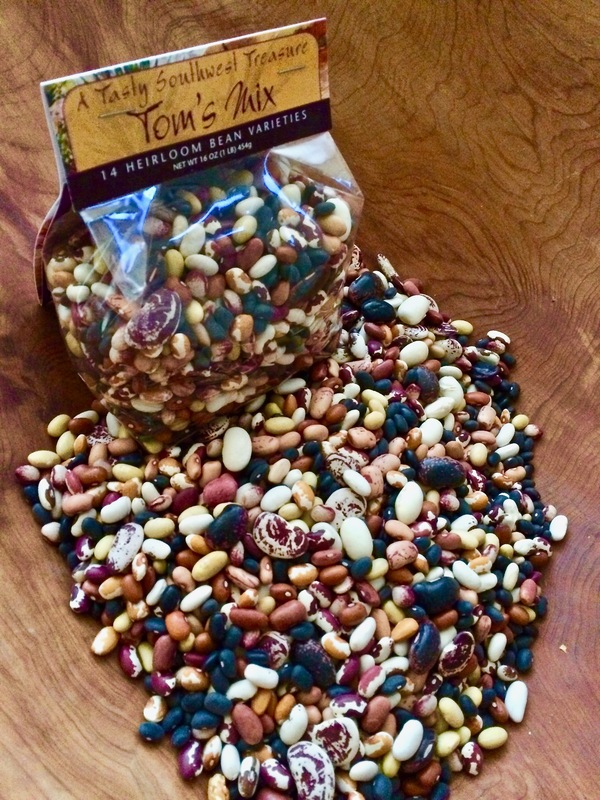 Mixture can be for vegetables, chips, or as a topping on baked potatoes. It will last if refrigerated for about a week. You may substitute sour cream, cream cheese, or lebna. What a great way to deliciously consume healthy raw garlic. 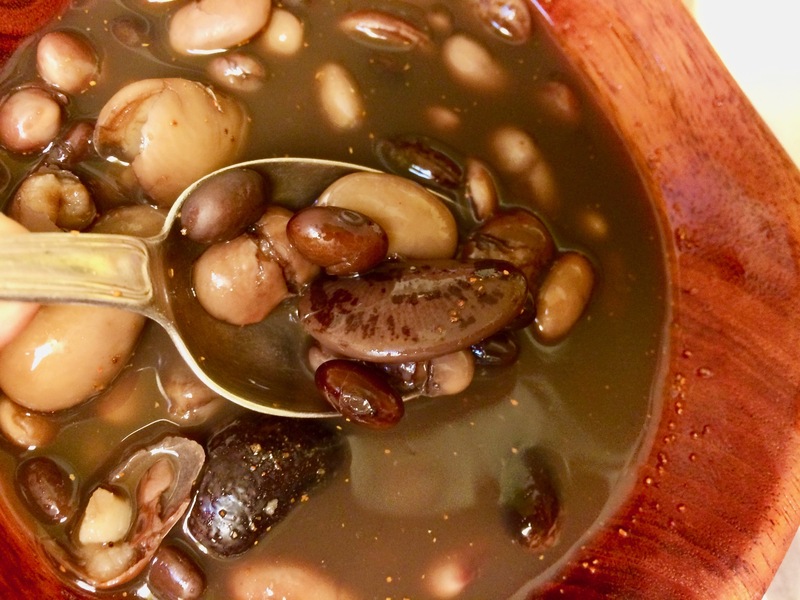 Carolyn Niethammer has spent five decades writing about the food of Southern Arizona and the Greater Southwest. See her books at http://www.cniethammer.com. 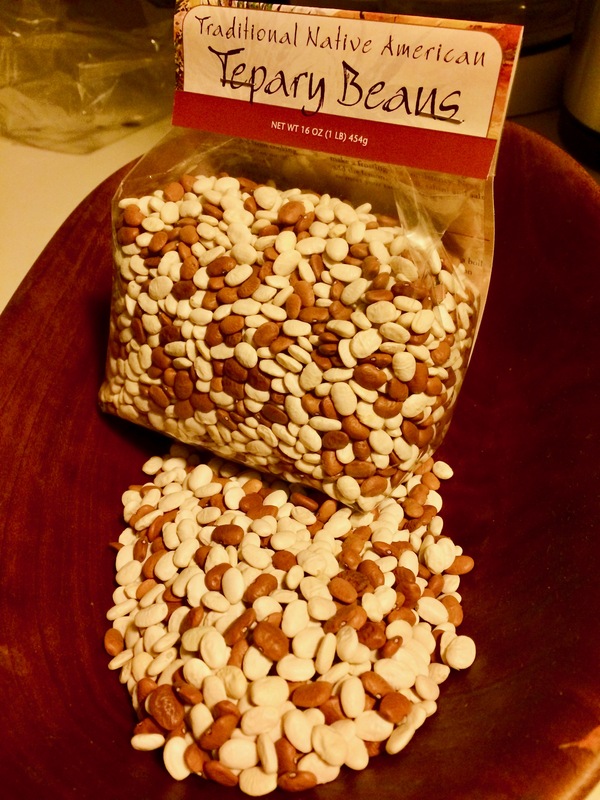 Buy them at the Native Seeds/SEARCH retail store at 3061 North Campbell in Tucson or through their on-line store here. She is currently at work on a book on Tucson: UNESCO City of Gastronomy and is visiting many of the small farms ringing Tucson. Hello all, Amy here on a cold November evening. 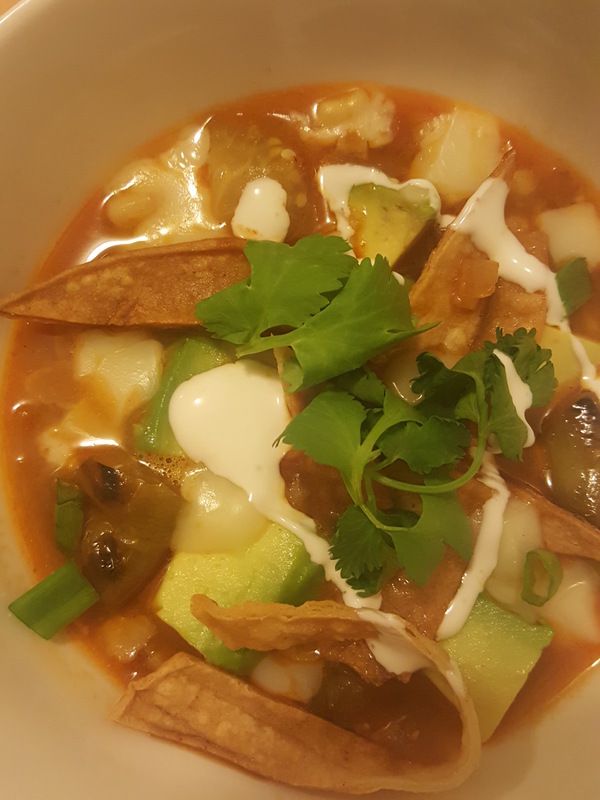 Lately I’ve been living off soups and here is tonight’s tortilla soup, red and savory from Mano Y Metate Pipian Rojo powder. 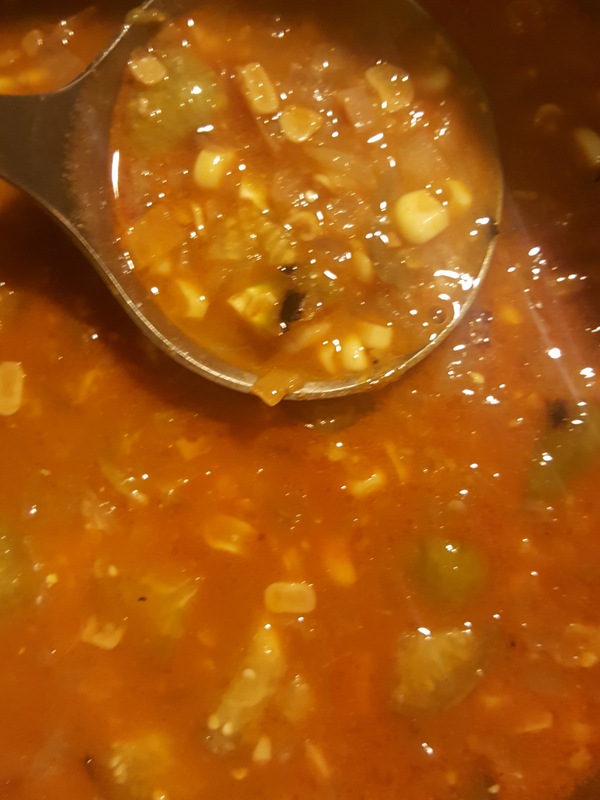 My soup turned out mild, but you could make it with Pipian Picante to make it medium spicy. 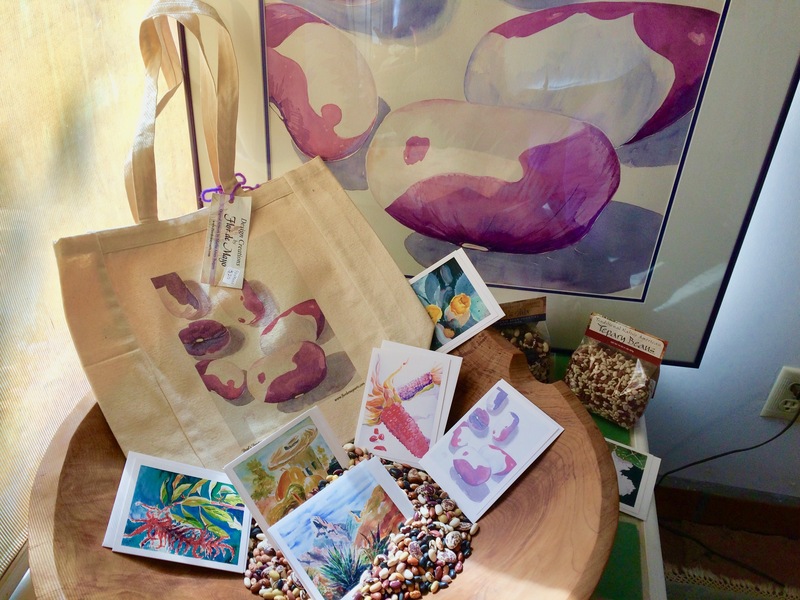 I got the idea from a longtime customer and Desert Botanical Garden staff member last weekend at the annual Chiles and Chocolate Festival in Phoenix. My mom, sister and I had a great time, seeing old friends and talking about food and recipes. 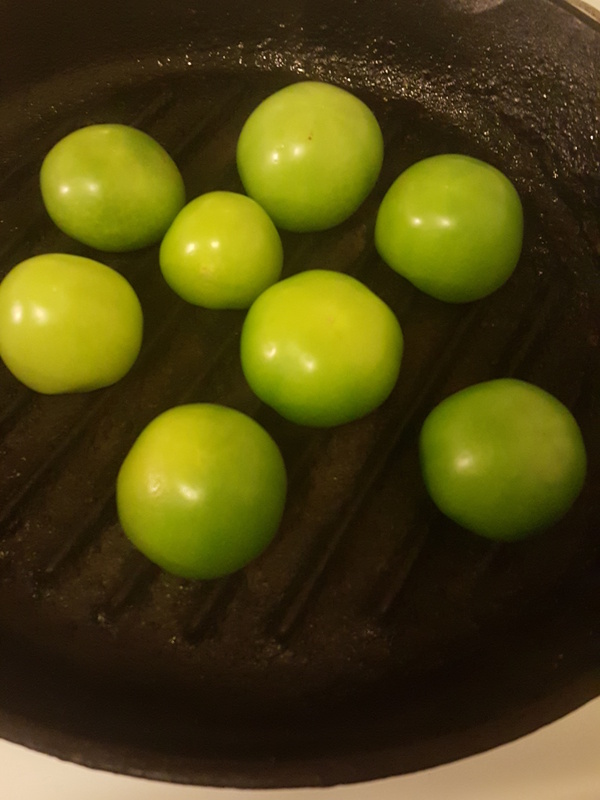 Tortilla soup usually starts with tomato, but I had Tucson CSA tomatillos. They all went in the stove top cast iron grill pan, some for the soup and the rest for salsa tomorrow. Once charred, I coarsely chopped and set them aside. 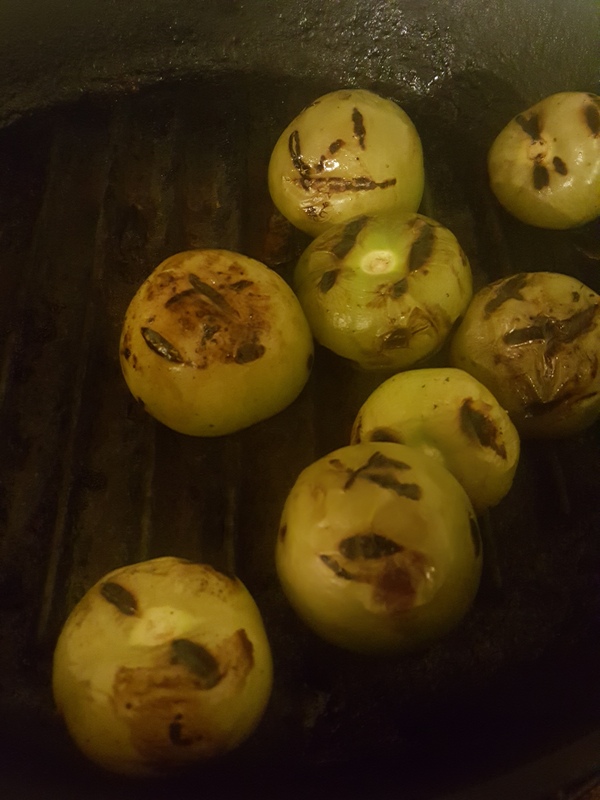 This step makes the tomatillos so much more flavorful and mellow. For red or other colored tomatoes, the charring would be an optional step. 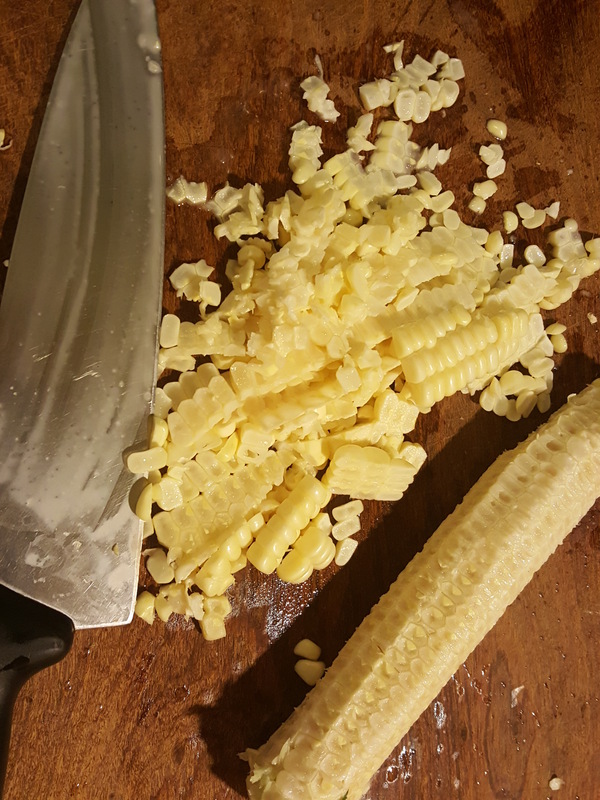 Then I cut the kernels from an ear of sweet corn. The shucked ear could be charred first if you wanted more toasty corn flavor. 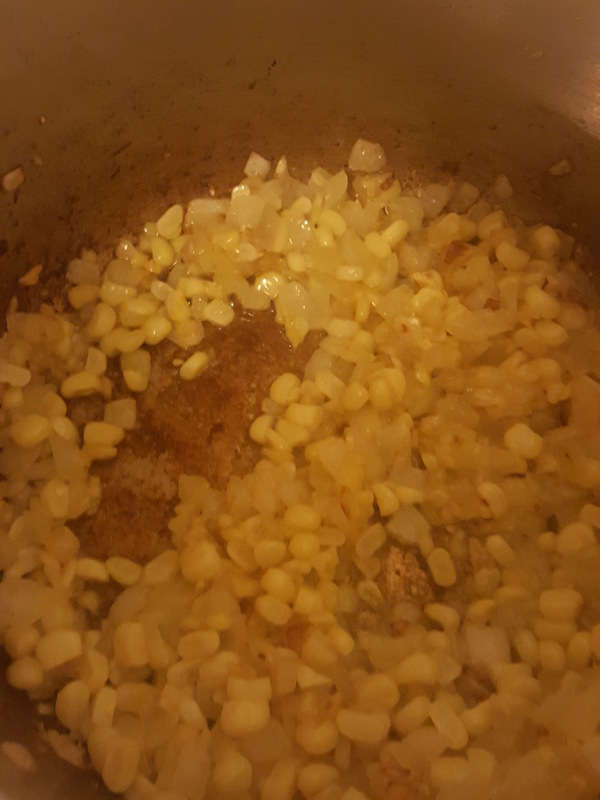 Then I browned a chopped white onion, a few cloves of sliced garlic and the corn in a little oil. To that I added a tablespoon Pipian Rojo powder, about a cup of chicken (or veggie or turkey) broth and chopped tomatillos. After simmering for a few minutes, it smelled great. 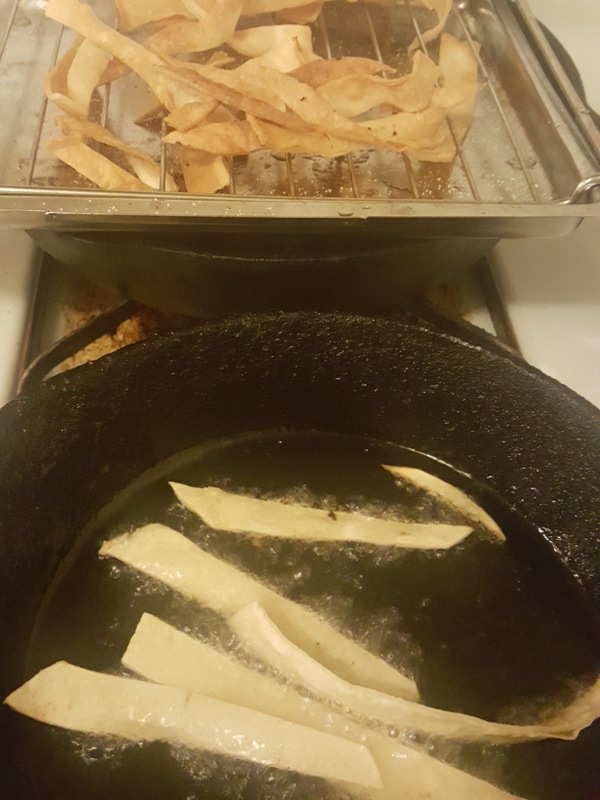 Then I fried corn tortilla strips in hot oil until lightly brown and very crispy. 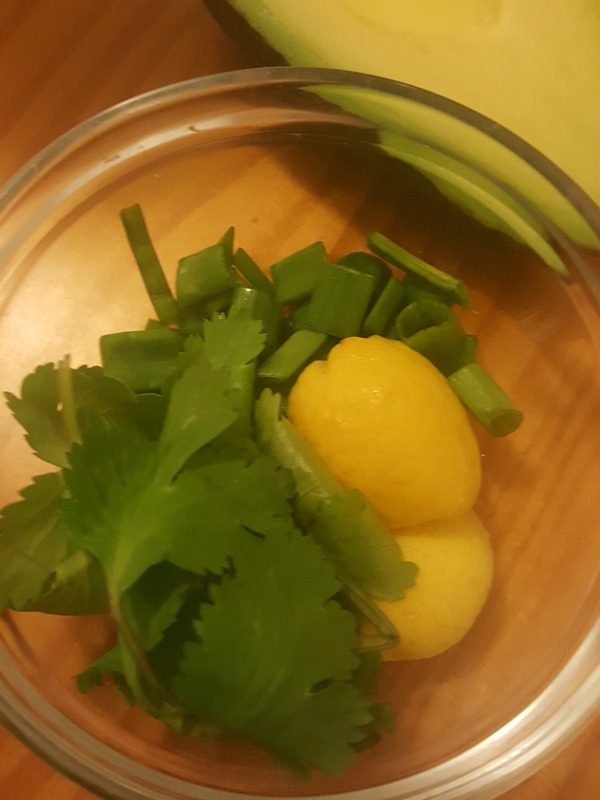 In each bowl, cilantro and green onion from the CSA share went over the soup, as well as a sliced avocado and the crispy tortillas. I sprinkled on chopped Oaxaca cheese, which melted into the hot broth. Oaxaca cheese is made by stretching, similar to mozzarella, and it melts like it, too. Chicken in bite sized pieces would be very nice, but I’m using it for another soup, and I didn’t miss it here. Finally, a drizzle of cultured crema and a squeeze of ripe lime (or any tart citrus) finishes it. !Buen provecho!